Let us Simplify your Procurement. Corporate America requires that we all do more with less. Vendor Consolidation reduces transactional costs and increases your leverage. Because we are a distributor, we have the flexibility to purchase, stock, package and delivery an incredible array of parts. Because of our scale, we can normally consolidate purchases without a detrimental impact to your costs. Let us help you with your vendor reduction goals. The immediate benefit from vendor consolidation is how it immediately increases the company’s purchasing power on parts and materials. By reducing the number of vendors a company buys from, they are in effect increasing the volumes and the parts count they buy from the chosen vendor(s). Benefit is you end up with more favorable pricing on materials and parts. Not only does pricing decrease, but the costs to get those parts into the warehouse decrease as well. Freight is an extremely important aspect of inventory. By increasing the volumes purchased through fewer vendors, the company is able to ship more product from the same location. More volume shipped means a lower per unit freight cost on incoming parts and a lower overall inventory cost of ownership. Companies that have strict rules on vendor qualification typically benefit from excellent quality in terms of both the vendor’s products and their services. Vendors appreciate the additional volumes and are therefore more succinct in managing quality from both the perspective of the product itself, and in how they conduct business. Improving quality on incoming parts helps to reduce inventory cost of ownership by eliminating the incidence of returns or delays in manufacturing. There are some significant soft costs that can be accrued from consolidating a company’s vendors. One of them includes bill payments. Fewer bill payments and fewer vendors to pay, helps to reduce the costs associated with cutting checks and helps to improve the company’s credit rating as those vendors that remain will paid more frequently. There are also soft costs in terms of procurement not having to handle and track so many different vendor orders. When companies adopt vendor consolidation practices, they are using the most progressive vendor management practices available. These companies are able to streamline their supply chain into working with only the best that remain. 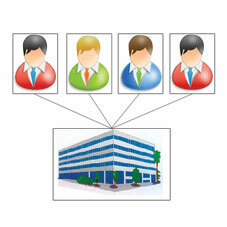 Those select few suppliers then make it their mission to service the account in the best manner possible. It allows for immediate cost reductions across the board and incents outside vendors to improve pricing through increased competition.